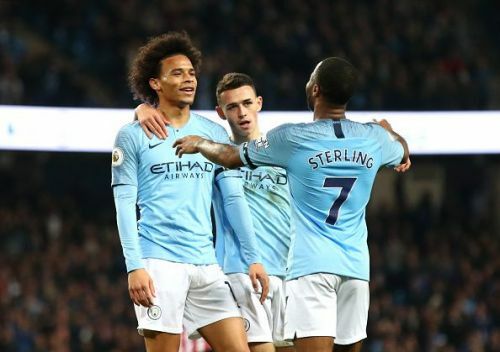 It was a night of brilliant football as Manchester City welcomed Southampton to the Etihad Stadium, and absolutely outplayed them in every aspect. The difference between the two teams was humongous, and it looked like men against boys, as City put 6 past The Saints. Pep Guardiola selected a strong starting line-up featuring Sergio Aguero, Raheem Sterling, and most of the usual suspects. 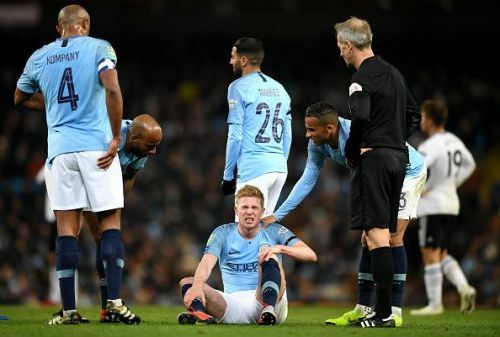 Kevin de Bruyne picked up another injury in the previous fixture, and has again been sidelined for 4 weeks at least, and Bernardo Silva has continued his run in the first team as the more than able deputy, having another good outing. City started their onslaught from the very first minute, and were able to break through via the help of an own goal from Wesley Hoedt, who was helpless as he put the ball into his own net. That opened the flood-gates, and Raheem Sterling laid on a simple tap-in for City legend Sergio Aguero from two yards. David Silva made it 3 at the 18th minute mark, and The Saints' full-backs looked all over the place with Leroy Sane and Raheem Sterling toying with them in wide areas, and leaving them behind when they wanted to. Here are my observations from this emphatic, yet routine victory. Any other club in world football would struggle with the mercurial Kevin de Bruyne out for almost half the campaign, but not Manchester City. Sure, they're a different beast with him in the starting XI (which he undoubtedly will be once he's fit again), but they have barely skipped a beat since his unfortunate struggles began at the start of the season. De Bruyne is easily one of the three best midfielders on the planet right now, and City look majestic with him playing, but it speaks volumes of the quality City possess on the bench that players from within the squad have stepped up their game to a level where one of the best players on the planet is not missed. Any other club would have their season derailed to the extent that they'd consider themselves fortunate to end up in the top 3, but not Manchester City, as they seem to have entered the realm of super club, and they look like they're here to stay.